In 2018, we completed our 6th Annual Spay / Neuter Campaign in Rancho Viejo with a total of 1,124 animals that no longer are reproducing! For 2019, our goal will be 1,300 dogs and cats. We cannot do this without your generous donations and support. Click here for more information and to make a donation. Together we can make a BIG DIFFERENCE! Isla Animals is a 501C3 organization founded in 2001. We are 100% funded by donations and the generosity of unpaid volunteers. 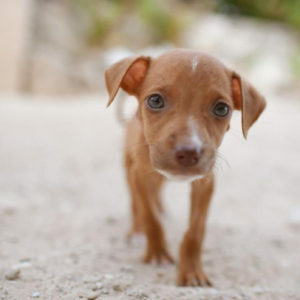 We have rescued over 5,400+ dogs since 2001 and are dedicated to decreasing the unwanted pet population on Isla Mujeres through on-going spay/neuter programs, education, vaccinations, and adoption. Only with your help can this wonderful work continue. Please consider a monthly donation, it’s easy to set up and Isla Animals has a pressing need for a budget that they can depend on. To set up a monthly donation, click the button below, enter your desired donation amount and check the “Make this recurring” box on the Paypal screen. You can also make a secure one-time donation by leaving the boxed unchecked. We are always in need of basic supplies such as flea and tick medication & shampoo, collars, leashes, food, bowls, toys, etc. Medical supplies are in great demand as well as they lower our operating costs greatly thereby increasing the number of animals we can reach. See the list below for medical and non medical supplies we can use. Reels of the same type of suture are also great, we can swag on our own needles. You can drop off supply donations in 2 locations on Isla Mujeres. At our clinic at Hacienda Mundaca in La Gloria, TUESDAY & THURSDAY 10am – 4pm or at Marina Paraiso Hotel Reception 7 days a week 7am – 11pm.